Menton Daily Photo: A Menton Christmas - the Turkey that Lives! 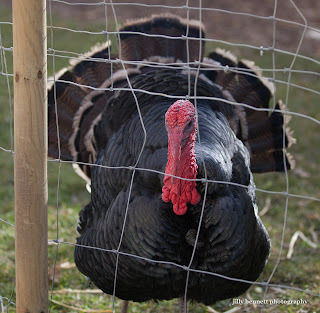 Here's a turkey who escaped Christmas dinner! He was wandering around a small farm for children at Menton's Christmas Fair in the Jardin Bioves. Voila une dinde qui a échappé au repas de Noël! Elle déambulait dans une petite ferme pour enfants à la foire de Noël de Menton dans le Jardin Biovès. i bet he told you a story or two. 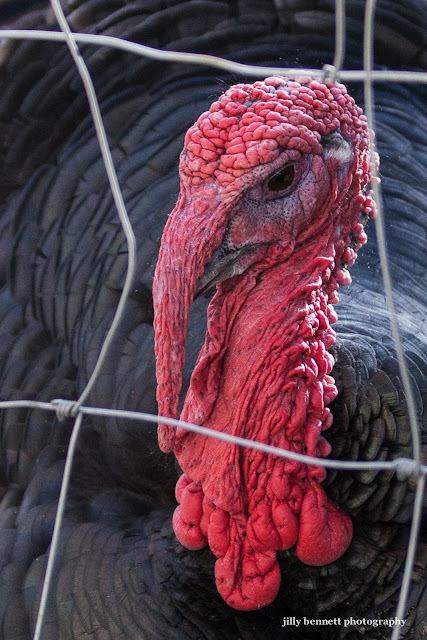 My goodness, you could not say a turkey's head is attractive. Glad he made it safely through the holidays. How do turkeys get dates? I don't believe I've ever gazed at a turkey this closely. What an interesting guy! 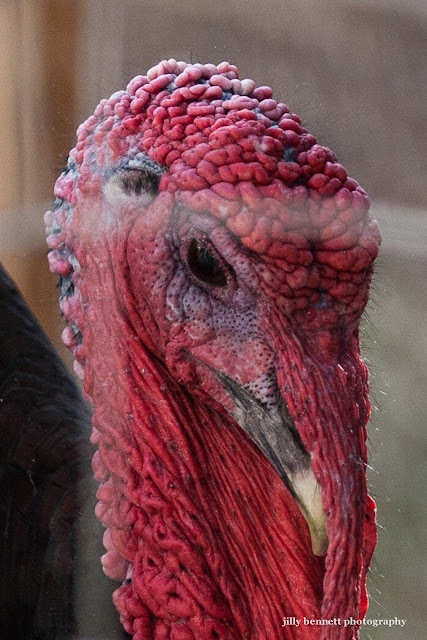 Turkeys are pretty ugly close up. It's a good thing we don't usually see them this close. No wonder they did not become the U.S. national bird. Happy New Year. The turkey that made it through Thanksgiving and Christmas is a lucky turkey indeed. Great photos - love the close-up crop.